Published by Lawrence Erlbaum Associates, 2008. 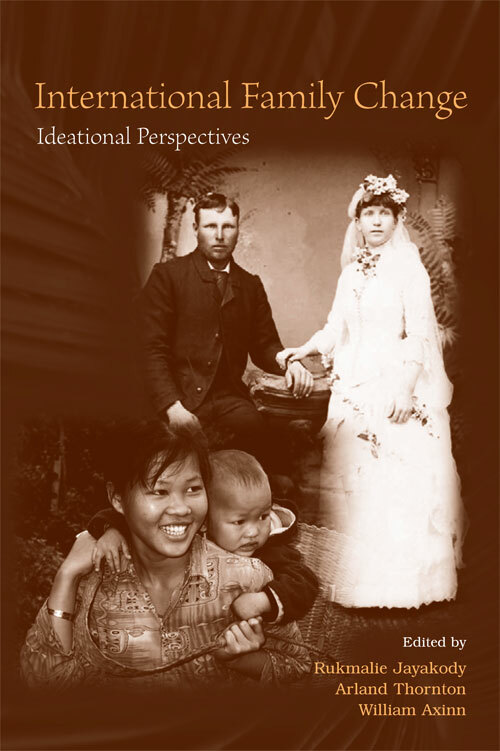 This volume examines family attitudes, beliefs, and relationships in virtually every region of the globe, with an emphasis on the theoretical models for examining family changes. In particular, it argues that family life in the Western world is not the sole product of social and economic trends and that family change outside the West is not destined to follow the same trajectory. Chapters focusing on Iran and Vietnam help demonstrate that, rather than following a Western model, some global family change has resulted from rejecting it. The chapters on Nepal and Africa illustrate how the introduction of new ideas through the media and religion can reshape family beliefs. The chapters on Japan and Argentina demonstrate how unique cultural circumstances can influence family change. Intended for researchers and advanced students in human development, family studies, social psychology, sociology, geography, anthropology, economics, and history, this book also serves as a resource for advanced courses on the family and its history, family development, and social change taught in those departments. R. Jayakody, A. Thornton, W. Axinn, Preface. R. Jayakody, A. Thornton, W. Axinn, Perspective on International Family Change. A. Thornton, G. Binstock, D. Ghimire, International Dissemination of Ideas About Development and Family Change. T. Locoh, M. Mouvagha-Sow, An Uncertain Future for African Families. R. Lesthaeghe, J. Surkyn, When History Moves On: The Foundations and Diffusion of the Second Demographic Transition. W. Axinn, A. Emens, C. Mitchell, Ideational Influences on Family Change in the United States. G. Binstock, Continuity and Change: The Family in Argentina. M.J. Abbasi- Shavazi, P. McDonald, Family Change in Iran: Religion, Revolution, and the State. R. Jayakody, V.T. Huy, Social Change and Marriage in Vietnam: From Socialist State to Market Reform. M. Atoh, The Relevance of Ideational Changes to Family Transformations in Postwar Japan. W. Axinn, D. Ghimire, J. Barber, The Influence of Ideational Dimensions of Social Change on Family Formation in Nepal. B. Nauck, D. Klaus, Family Change in Turkey: Peasant Society, and the Revolution "From Above". W. Axinn, R. Jayakody, A. Thornton, Conclusion. Press Release and Ordering Information.